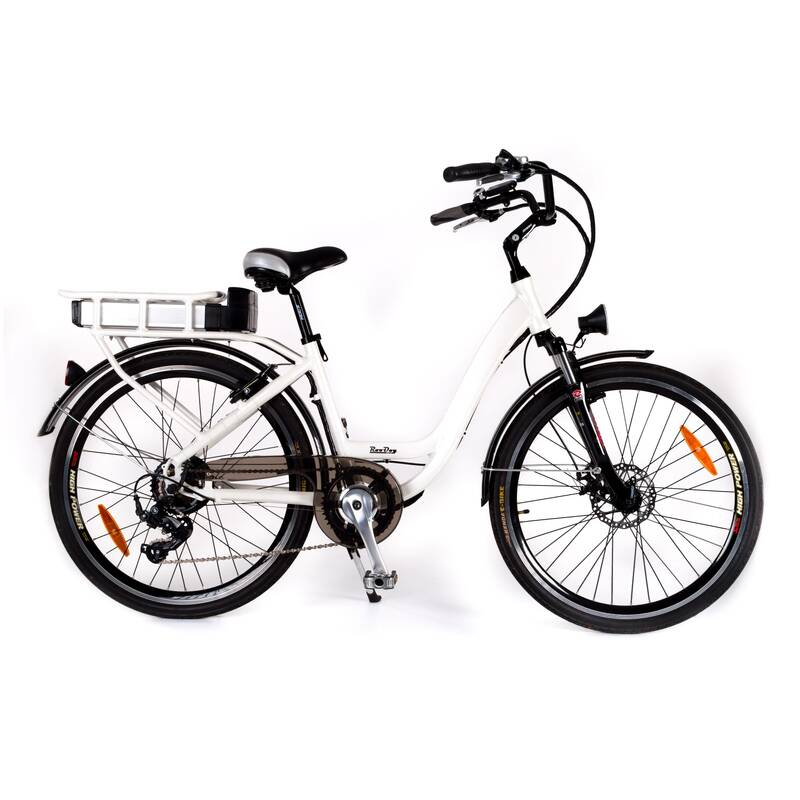 This RooDog Chic electric bike is stylish, easy to ride and a comfortable step-through city ebike finished in beautiful pearl white, electric blue or glossy black. The saddle goes down very low making it the ideal ebike for shorter people or simply for people who like petite bicycles. The Roodog Chic Electric Bike is stylish, easy to ride and comfortable step-through city ebike finished in beautiful pearl white, electric blue or glossy black. 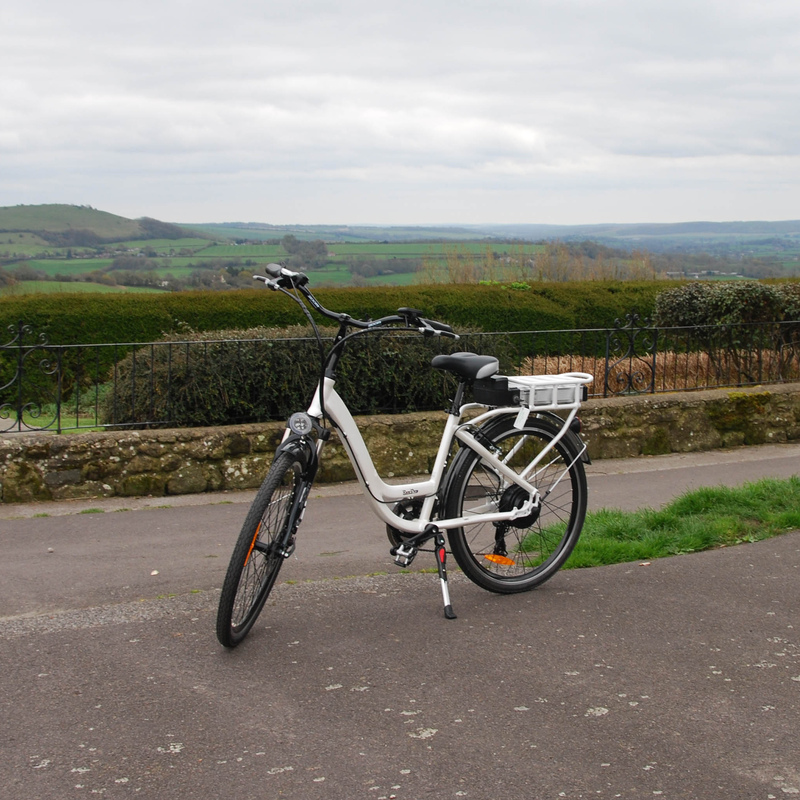 The 250watt rear wheel hub brushless motor will assist you up to 15.5mph (the maximum speed allowed by UK/EU regulation) Although you can go as fast as you can pedal as the brushless motor allows the rear wheel to spin freely. 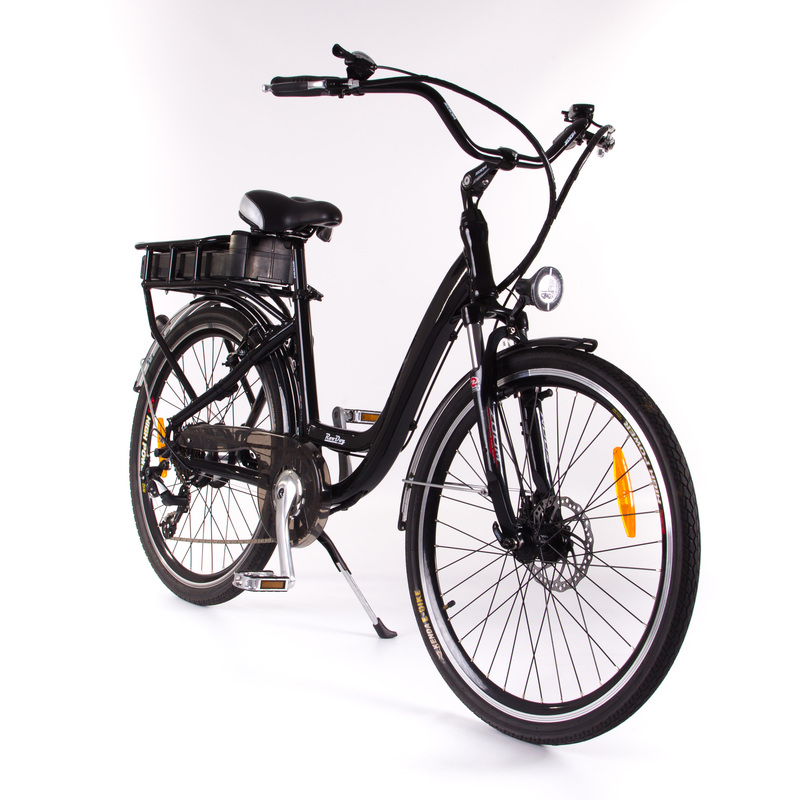 You can ride the Chic with the motor switched off, or choose from the five power pedal assist modes. 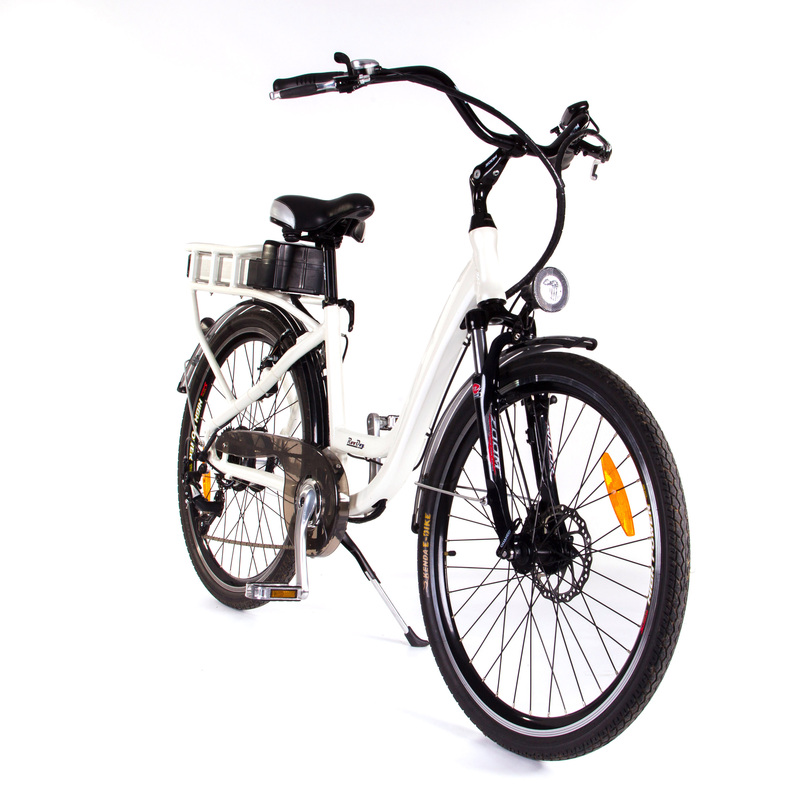 The battery is a 36 volt 10Ah, lithium-ion. 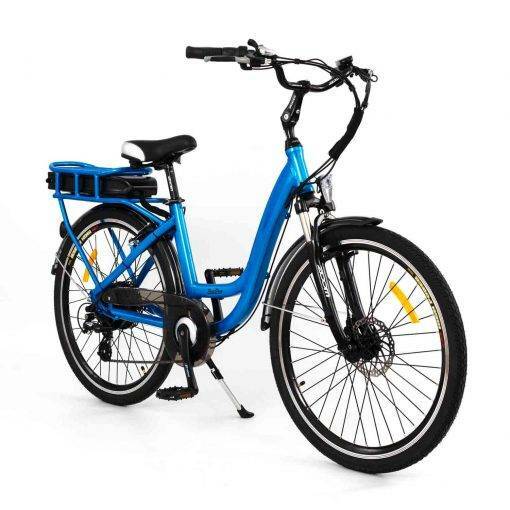 This gives a range of up to 30 miles* per full charge on the highest speed setting. 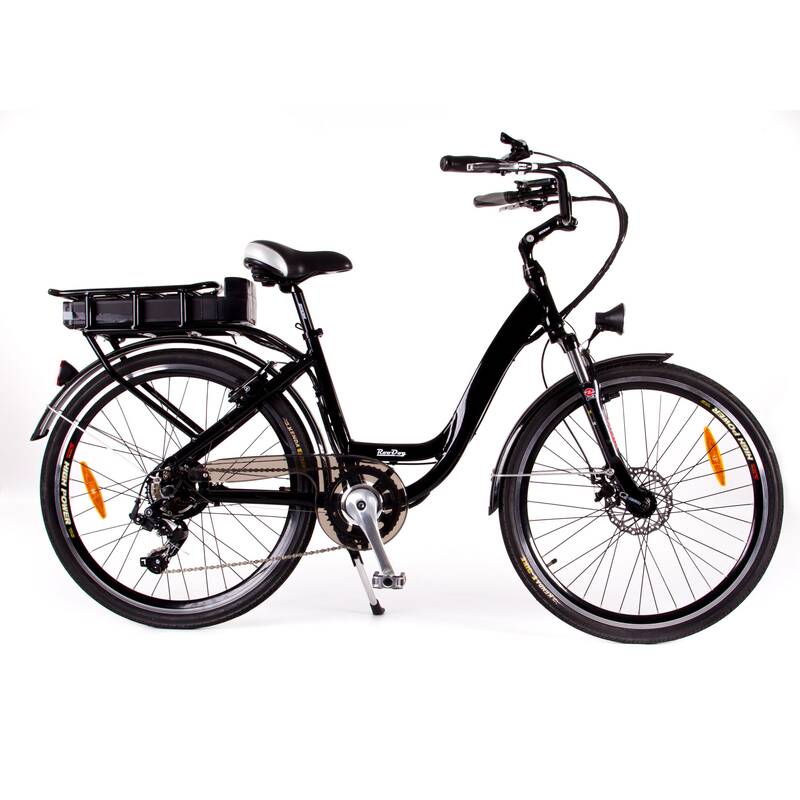 Batteries can be charged on the ebike or unlocked and removed. Charging will take four-six hours from flat. The display shows the battery indicator, management of 5 speeds, and powerful LED lights for the front and back, helping you see your way back after dark. 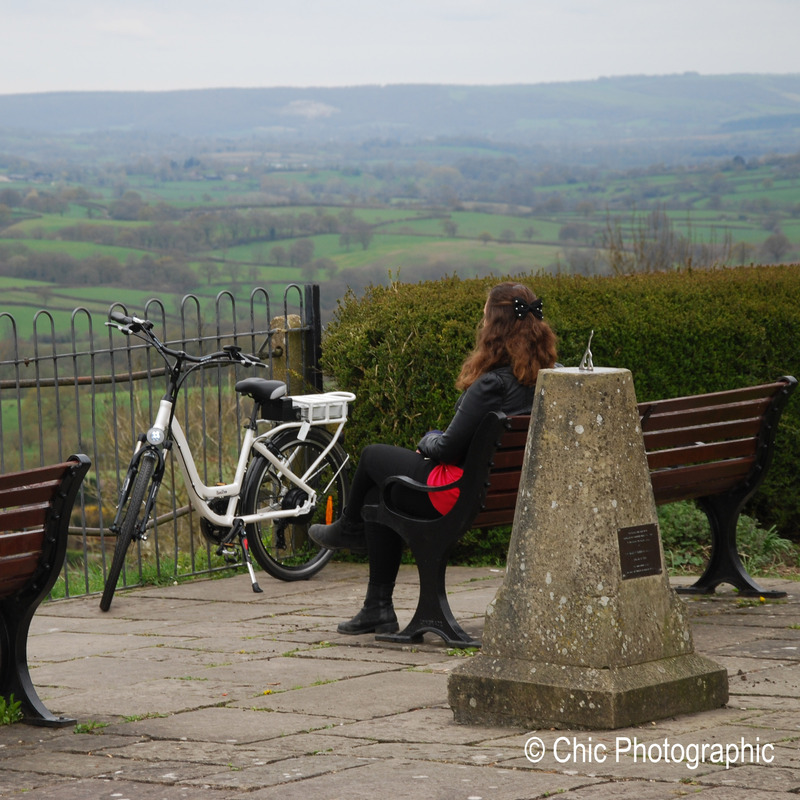 The Shimano 7 speed Megarange gears mean you won’t have any problems taking on those hills. 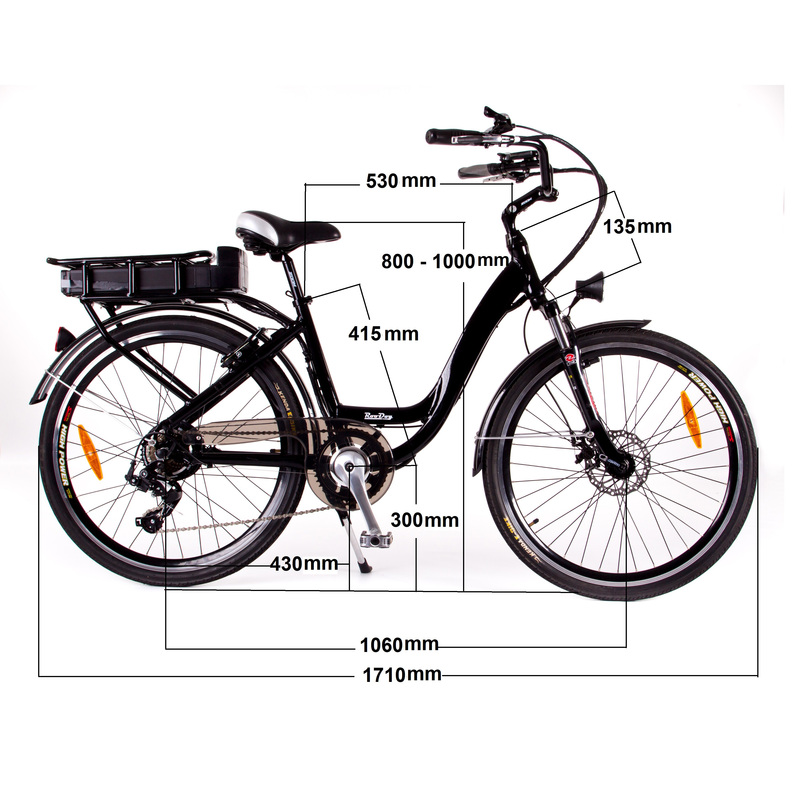 If you use the gears in conjunction with the five modes of pedal assistance you will be zooming along. 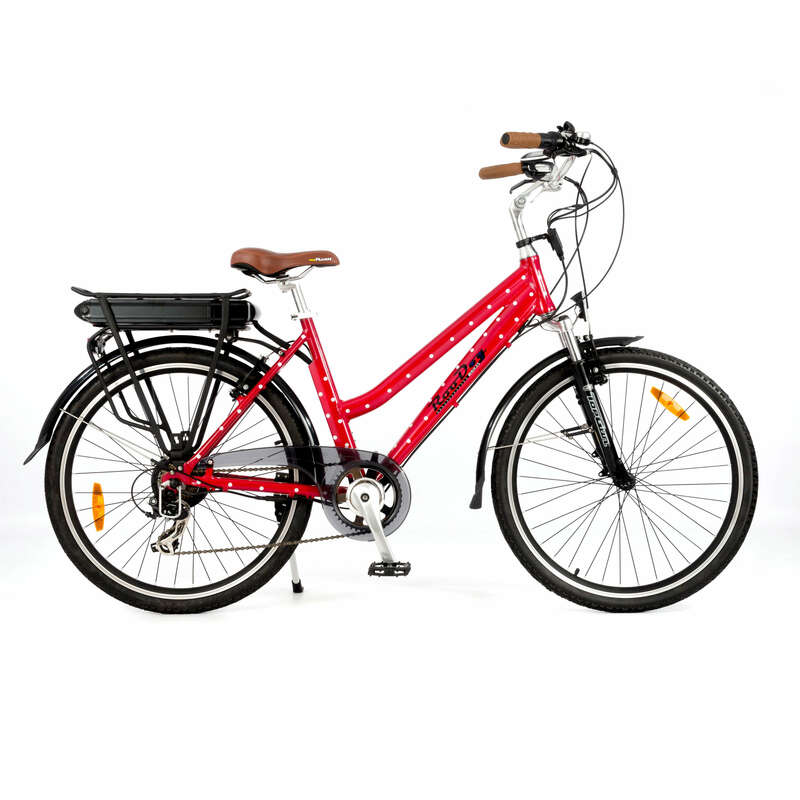 Aluminium alloy Zoom suspension, tektro front disc brake and rear V brake, make the Chic a really good value bicycle. 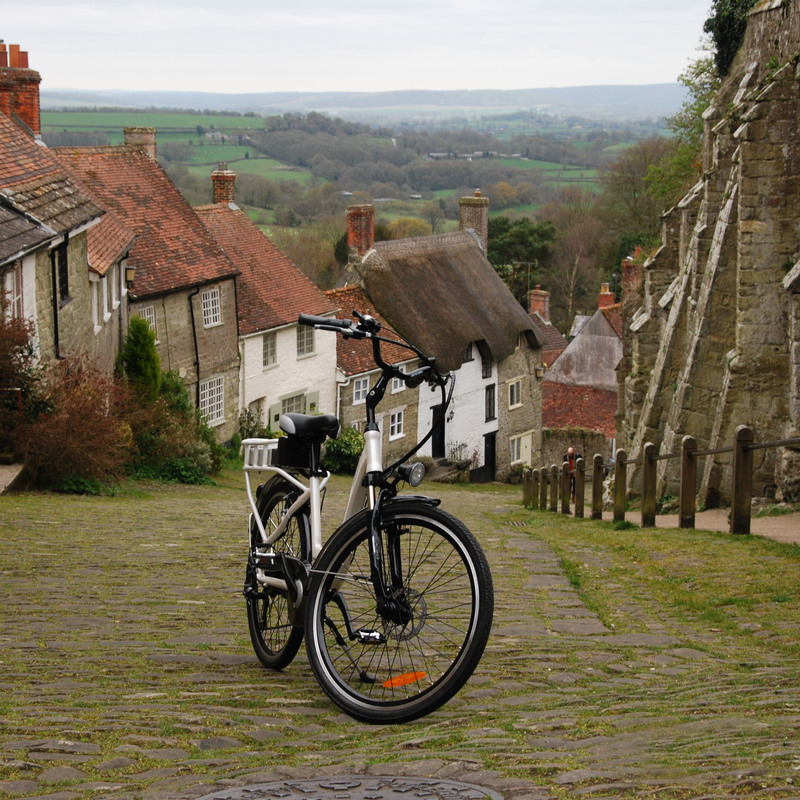 RooDog products are CE approved, and all tested to EN15194 and comply with this standard (the latest EU safety standards by which all ebikes are tested).